Stan Gilliam Sr. gets a tad excited about what his 731 James Ave. garden grows. He wanted to share with readers this huge watermelon, the largest in his current collection. Just took a couple applications of fertilizer, he said. https://www.urbanacitizen.com/wp-content/uploads/sites/36/2018/09/web1_Stan.jpgStan Gilliam Sr. gets a tad excited about what his 731 James Ave. garden grows. 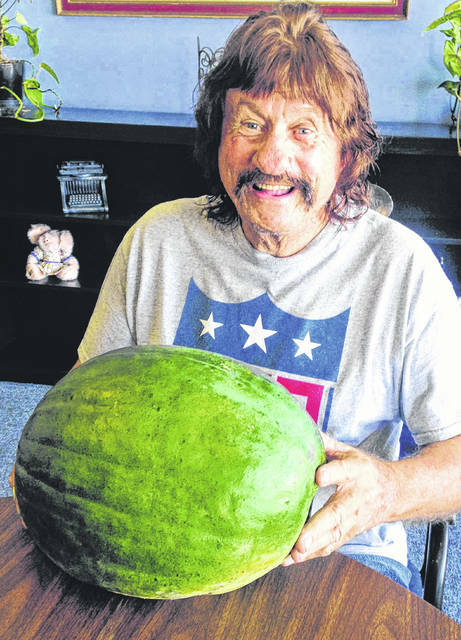 He wanted to share with readers this huge watermelon, the largest in his current collection. Just took a couple applications of fertilizer, he said.